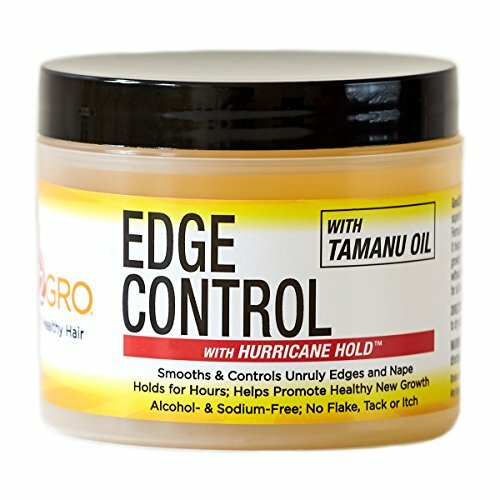 Good2Gro Edge Control with Tamanu Oil - Freeze that style into place; defines, shines and holds even the most unruly edges. Formulated with the finest natural and organic ingredients proven to prevent breakage and promote healthy hair growth, while smoothing down edges, and holding styles without leaving hair hard or crunchy. Eliminates frizz and split-ends. Formulated with natural ingredients proven to prevent breakage and promote healthy hair growth. Promotes growth and prevents further breakage Adds Moisture and Shine. Non Greasy; No Flake, Tack or Itch, Eliminates frizz and split-ends. Manufacturer: Grayson Beauty Brands Co. Publisher: Grayson Beauty Brands Co. Studio: Grayson Beauty Brands Co. If you have any questions about this product by Good2Gro, contact us by completing and submitting the form below. If you are looking for a specif part number, please include it with your message.